What is Bears on Patrol? It's a program that started almost 30 years ago and supplies patrol officers with teddy bears to give to children to ease their fears when faced with trauma. 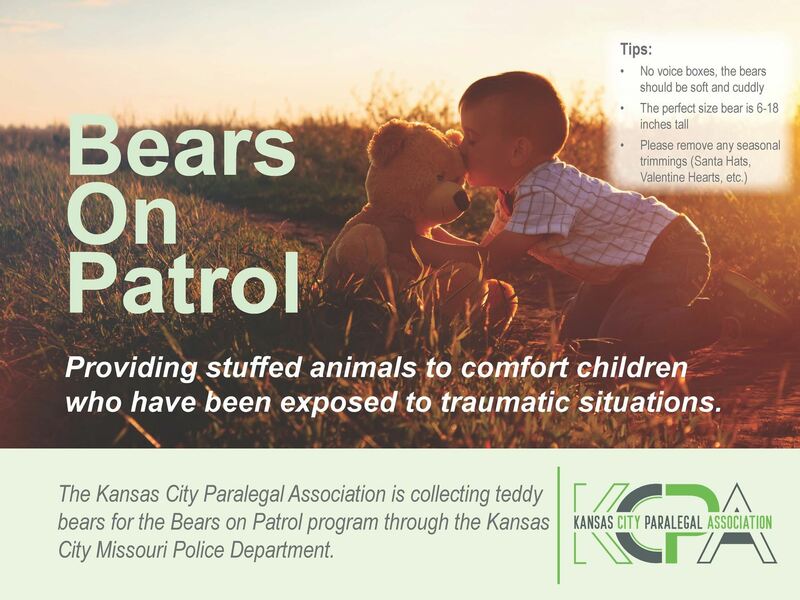 Why this program is so important: KCPA has been the exclusive donor to the Bears on Patrol program for the past 16 years! When do we donate? We present the Kansas City Police Department with our donations each October during our annual Vendor Showcase. Total Donations from KCPA: The total amount of our donations have not always been tracked, but as you can see below, our numbers are on the rise each and we are blown away by our members and their efforts for this drive! Need help getting your firm involved? Reach out to the Second Vice President, Erin Hessenflow for tips and tricks. Download a flyer to circulate around your office HERE!